This has been another messy week at the farm due to the winter storm that came in at the beginning of the week. The University was closed for 2 days, but cattle still had to be fed. The winter storm just made a mess because we mostly got rain instead of ice and snow (thankfully). It made a muddy mess when it came to putting out hay. The weather conditions also made it complicated to work the cows for research projects.The rain added a delay to Dr. Trent Smith’s research project data collection at the first of the week because we had to postpone it to the end of the week. Dr. Smith’s study is looking at how the cows’ shed hair and then regrow it for the winter, and how its shedding and re-growth correlates to their production. On top of all of that, it was time to remove the bulls from the breeding groups (while gathering the cows for the hair study) to finish up another busy week at the farm. This week has been busy due to several things that had to be done on the south farm to prepare for cold weather and to collect data for ongoing research. My duties included feeding in the cold and gathering and working cows for certain projects. 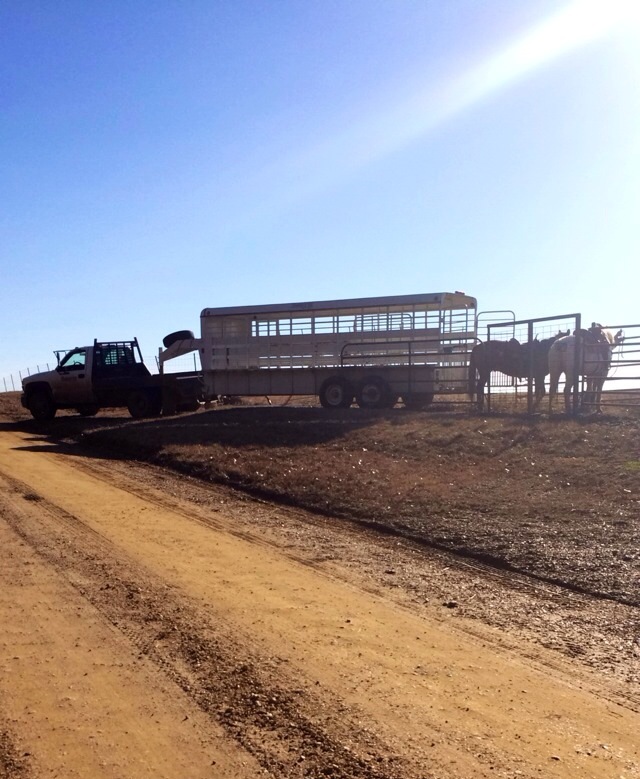 One of the duties that I performed several times this week was busting ice out of water troughs for the livestock. With the arctic front that came in, we had to hay first thing this week and then at the end of the week so the cows would have plenty to eat. We had two research projects this week that consisted of us getting the cows and calves up for work. After we got them up, we had to draw blood and get measurements on the calves for the projects. The duties that I performed this week are the same types of work that farmers (especially beef producers) around the country experience day in and day out at the office. This week I continued researching bovine respiratory disease as it pertains to pre-weaned beef calves. One article was a producer survey that collected information from various cow/calf producers in the United States. Results showed that the majority of calves contracted BRD between 30-120 days of age, and operations that had over 100 head of cattle had a higher incidence of BRD. The overall conclusion from each statistical analysis provided was that in any situation where the cattle were commingled, a greater chance of contracting BRD was found. However, as was stated last week, numerous factors and viruses help contribute to BRD, which makes it difficult for researchers to pinpoint a specific cause of this disease. This is the main reason that it remains the most costly disease in the cattle industry and why research has continued to focus on BRD. Last week I started my research on the calves of the cows that were on one of two feeding regiments, restricted or maintenance. We are checking to see if the restriction on the cow’s nutrition had any side effects of their calves. We are taking two blood samples from each calf every month via jugular vein. We are running the samples down and obtaining blood serum and plasma for testing. Along with taking blood samples, we are taking their weight, hip height, crown to rump length, wither height, and heart girth circumference. Through these measurements and blood samples we are trying to see if the calves from maintenance cows are developing faster than those of restricted cows.